Stories Untold is not your typical Mystery-textadventure. It is better. The game contains four episodes that are unlocked after completing the previous one. They are different and have varying storylines that the player explores in various ways. 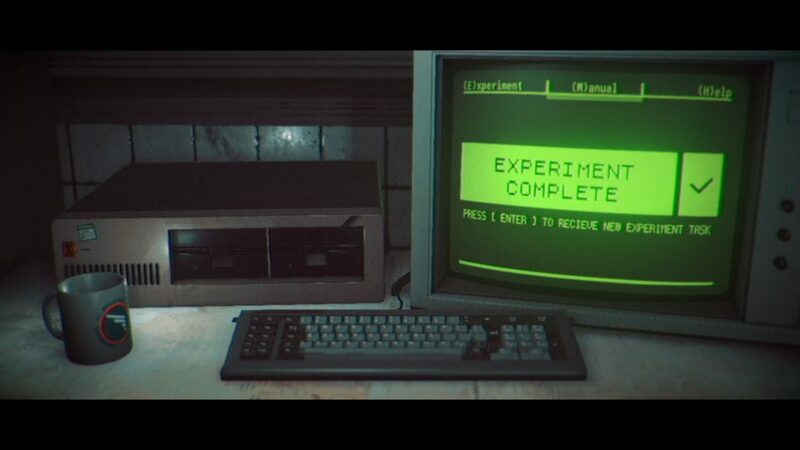 Stories Untold is the horror game I needed in my life. Although it features minor jump scares and can be scary from time to time, its unique atmosphere kept me intrigued. While the episodes address different instincts and stages of fear, the complete game is full of metaphors and things that will make sense in the end. The game shows how blinking lights, few dialogues and strange noises can influence your reception of a text. The House Abandon starts as a nostalgic textadventure. The soundtrack in the beginning and the minimalistic setting would have taken me back to the 80s, if I had been alive back then. Instead, I was reminded of TV shows and films. The game certainly did a good job painting a picture in my head that was soon to be destroyed and replaced by a nightmare. As I proceeded the situation seemed to become more hostile and I was eager to receive an explanation. I was waiting for a sign – another noise, a number, a picture of Jesus. Anything. However, the game surprised me an we, the game and I, were playing with each other in a manner that I have encountered seldom. The Lab Conduct made me a lab assistant – or so I thought. The Sci-Fi setting reminded me of The X Files. Pressing buttons, adjusting settings and being unaware of the consequences of my experiments, things happened and I may or may not have been in Area 51. Up to this point, everything is unclear. All I know is this: Something is happening and I am not the one to give in. 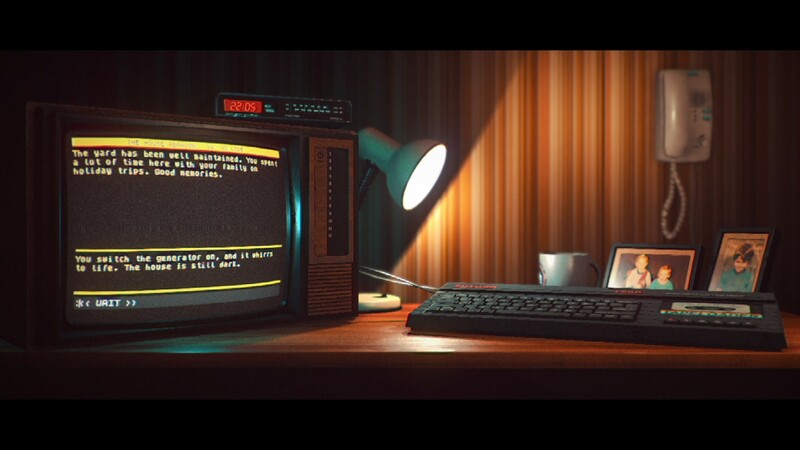 Stories Untold shows what text, blinking red lights and an alarm can do. The Station Process takes place somewhere in Greenland. I am in a remote weather station. I can hear the other stations, but cannot respond. We receive suspicious data and I have to decode whatever it is that we hear. Morse Code, NATO alphabet and a few tedious other riddles make this episode the most enigmatic. You can feel the 80s here. The tension is rising, reports are coming in that lead to more questions than answers. Honestly, I have no idea what I am doing until I leave the cabin and head out into the snowstorm. In first person perspective I need to find generators. Some time later I find myself in front of my computer, amazed. The Last Session is the final chapter that combines and concludes all previous episodes. Needless to say that this is all you need to know for now. Stories Untold evoked almost every emotion that I am capable of feeling. It is a little masterpiece that frightened, entertained, and stunned me. It combines text with cinematic and gameplay elements that amplify the experience and create something, for me, extraordinary. In case it has not become clear yet: You should probably invest 9,99 Euro and 2-4 hours and play Stories Untold. Retrospectively, the game offers you plenty of hints and by the time you finish the third episode, you should have a vague idea of what it is all about. That is to say the game wants you to pay attention to details while deliberately suggesting something completely different. The game was released on February 27, 2017. 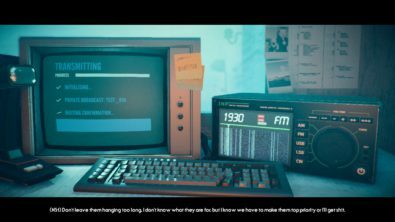 Stories Untold zeigt, wie Storytelling und Horror auch aussehen können. Mit viel 80er Flair, Charme und Rätseln ist das Adventure ein kurzer, aber intensiver Albtraum. Die vollständige deutsche Rezension lesen.